The Big Apple….. 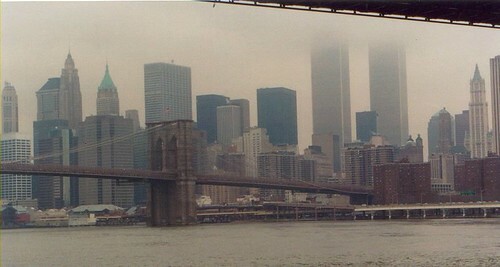 This photo was obviously taken a while back… I had it framed and in my house a month before September 11th… The world is a different place as well as New York.Heavy stuff aside, New York….. What a city! I love it. My love for London is not a secret and it’s probably why I felt so at home here. The city that never sleeps is on our list for another trip soon.